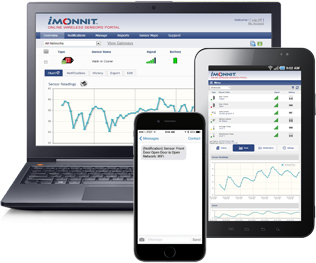 Wine Storage Monitoring | Monnit Corp.
contents, even when you are not there! If you collect wine, you know that extreme heat or temperature/humidity fluctuations can rapidly damage your valuable wine collection. What happens when your cooling system fails or you lose power while your storage is unattended? Now you know immediately if an issue develops in your wine cellar. View a complete history of conditions in your unit and recieve reports. 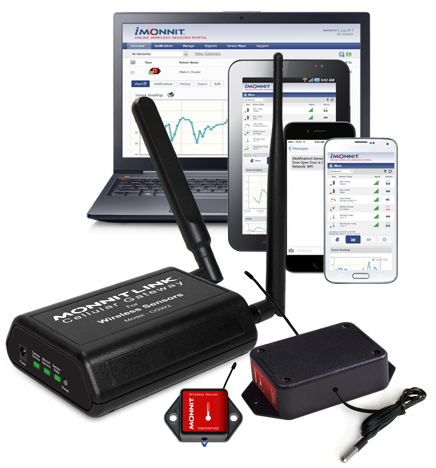 Receive real time alerts via SMS text, email, or voice call if your cellar is in danger. Automated system tracks conditions for you, without having do it yourself.